Once again, London’s Jazz Festival has been in full swing throughout the month of November and I was fortunate enough to experience some of it. The London Jazz Festival has been going since 1992 – thanks to the London Borough of Camden starting it off locally back in the 1970s. Anthony Joseph & Friends presented ‘Windrush Celebration’ in association with EFG London Jazz Festival, and what a top notch performance it was – with a live jazz band, various speakers, singers, thought provoking visuals and messages. For those of you who like a bit of Calypso, we had the pleasure of seeing the Mighty Sparrow perform live (looking good for 83 years old), along with the highly entertaining Calypso Rose with her cheeky moves and lovely voice. EFG London Jazz Festival also presented Jazz Cubano, flaunting some very talented musicians on stage – with amazing piano, including performances from Alfredo Rodriguez (exceptionally good) and some extraordinary trumpet and maracas action. Omar Sosa and Yilian Cañizares put on a particulalry enticing show – violin and piano with a cuban twist, beautifully done. Now before some of you roll your eyes to the sky, I really think it’s about time the misconceptions about this genre of music music are put to rest. Jazz has something for everyone, honestly – from instrument heavy, to slow and sultry, sad and bluesy, upbeat and funky to some catchy sing (or hum) along stuff. Jazz is so diverse that it’s almost impossible too accurately describe it. Jazz makes me really appreciate good old fashioned musical instruments, the talent that brings them alive and the way they touch the human spirit; the saxophone is probably one of my favourites, a truly fabulous instrument, oozing with sass, attitude and energy. The piano, double bass, every other instrument you can think of…are played in a raw organic form; so many artists fall under the Jazz genre yet they’re all so different. What they all seem to have in common is a soulfulness and emotion in the music, a ‘way’ with their instruments (including their own voices) and something that is just hard to put your finger on, but you can feel it. 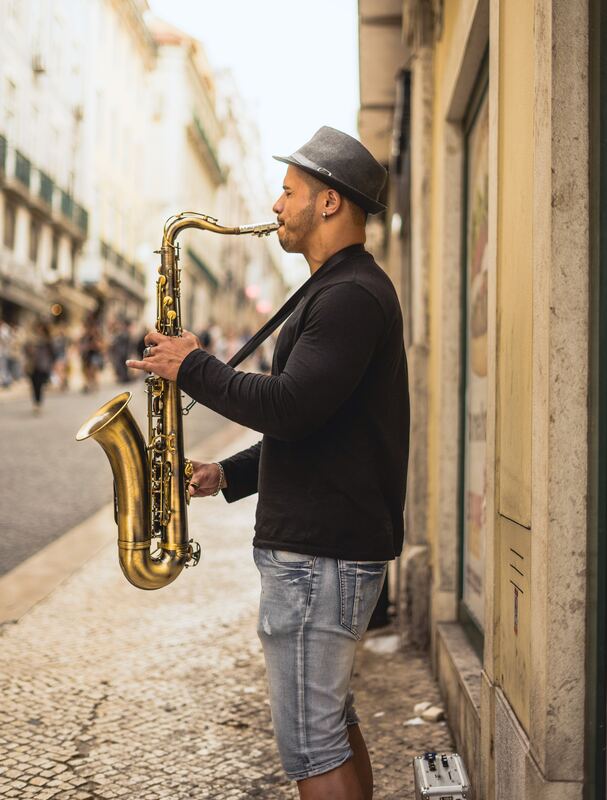 Jazz festivals take place across most countries every year – from the tropics to wherever, hmmm….. perhaps something new to add to the bucket list…. I love Jazz and hope to go one day! It’s a little far though! Aww, I hope so too. Maybe there are local jazz festivals around the UK too..